SAN DIEGO, CA (February 15, 2018) – (RealEstateRama) — The Mortgage Bankers Association (MBA) today awarded Thomas S. Dennard, Chairman and Chief Executive Officer of Grandbridge Real Estate Capital, with the 2018 Commercial Real Estate Finance (CREF) Distinguished Service Award at the Association’s 28th annual CREF/Multifamily Housing Convention & Expo held in San Diego, CA. Dennard has served several terms on MBA’s Board of Directors, strongly supported the MBA Opens Doors Foundation, taken a leading role in establishing MBA’s young professionals group, mPact, and is a long-time member and past chairman of MBA’s Commercial Real Estate/Multifamily Finance Board of Governors. Dennard has more than 35 years of experience in commercial mortgage banking. He holds a Bachelor of Arts in business from Catawba College. Dennard is Chairman of the Grandbridge Board of Managers and is a member of BB&T’s Senior Leadership Team. In addition to his leadership within MBA he has served as co-chair of Freddie Mac’s National Advisory Council and has served on numerous life insurance companies’ National Advisory Councils. He is a member of the Catawba College Board of Visitors and a member of the Catawba College Foundation Board of Directors. He is a licensed real estate broker in North Carolina and South Carolina. Nominees for the CREF Distinguished Service Award must be associated with an MBA member firm, have a record of sustained and extraordinary service to MBA and the commercial/multifamily real estate finance industry, and possess a strong reputation of ethical and professional conduct. 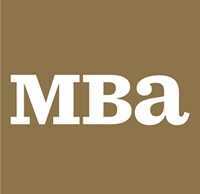 This award is the highest honor an individual can receive from his or her fellow MBA members.